Please note: the team sheets that are available will be dependent on what sport the database belongs to and the individual settings of the Association/League. 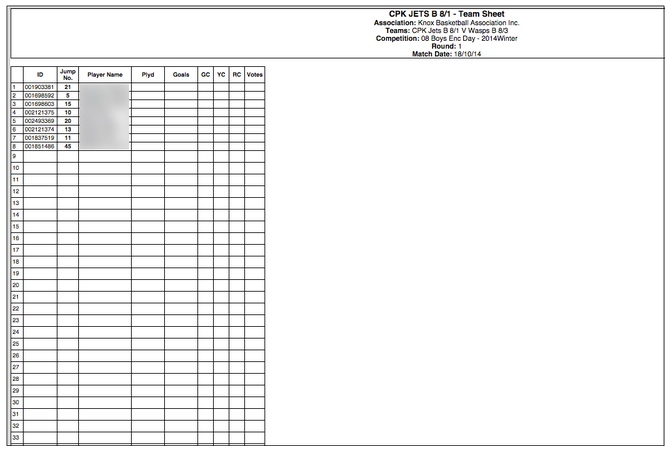 To save having to click into every match, team sheets can be viewed and printed off for multiple games at a time. Any team sheets that have 'bulk team sheet' functionality enabled, you will be able to view and print team sheets for all matches listed.